I was going through this excellent article on NRI investments in real Estate and how NRIs can benefit from the investments. Maybe all the NRI friends should read this article, thats why i am linking directly to this article. My company just send me the investment declaration form, this form is used to send in investment proofs and fill in the details a predefined format. I guess most of the working class has this kind of a form, in which you have to fill in most of the information about the tax saving investments that we have done over the period of the financial year. In this form since last year, they have added a column to declare "Income from other sources", which we saw earlier only in the ITR form. Now, i have been thinking that most of us don't even know what this means. What other sources? or Most of us just give the information of the interest income from the bank accounts or the Fixed deposits that we have but then these are not the only heads which cover the "Income from other sources" category. Income from winning of Lotteries, horse racing, game shows, games, gambling etc. Any sum, the aggregate of which is above Rs. 50000/- from people other than immediate family or specified categories of bodies etc. Any Amount received from Key Man Insurance Policy. Income on letting out on hire machinery, plant or furniture. Interest on securities, Fixed deposits, Bank deposits etc. So next time, when you declare your income to the employer or fill in the ITR returns form, you need to keep in mind that the above mentioned incomes need to be considered in totalling your income in one Financial year. Finally decided to invest in Infrastructure bonds, have been researching in them for 1 year now. Didn't know what to do earlier, and finally today decided to take the dip. 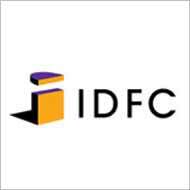 Invested INR10000/- in IDFC Tranche 2 Long Term Infrastructure bonds. Just bought two units, but hopefully will buy more in the next financial year. Already overrun in my investment budget for this month.